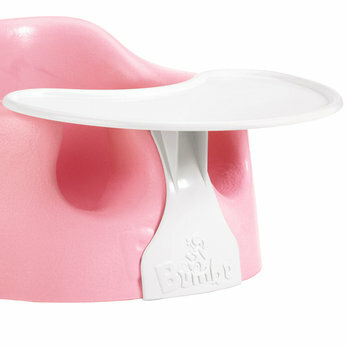 A lot of mommies asked me about this baby seat.. it is called Bumbo seat!! Bella seems to enjoy this seat to, it also comes with a detachable play tray. One great concern from this Bumbo company is to make sure we don’t put this seat on an elevated surface as the baby might fall. There are a few issues in the States where this company get sued from parents when their baby got injured after a fall. Anyway, everybody get sued in America, right? So, no big deals.. Just make sure you don’t put your baby seated on a high surface or leave them unattended. So, that is my likes this time.. This is purely my opinion, I don’t have any shares or interest in Bumbo company (I wish I do :D) Just a humble opinion from a mommy 🙂 You can find this seat at Mothercare 🙂 and I don’t have any shares at Mothercare too!! Poor me.. Hahaha..
Posted on January 26, 2012 December 9, 2012 by Dr Halina Mohd YunosPosted in Mommy LikesTagged baby stuff. Previous Previous post: Little B’s First Fever!! Next Next post: Now I Know Why B Got Fever..
bellla sentiasa tersenyum.. like mother like daughter. .. manis n comel..
comel nyaa your baby ! i wrote it in my entry Nisah.. haish..
Kat Mom’s Care and online websites pun ada. But mostly dah sold out. I had a hard time looking for it hari tu. Sampai kena booking and they called me when the stock arrived. 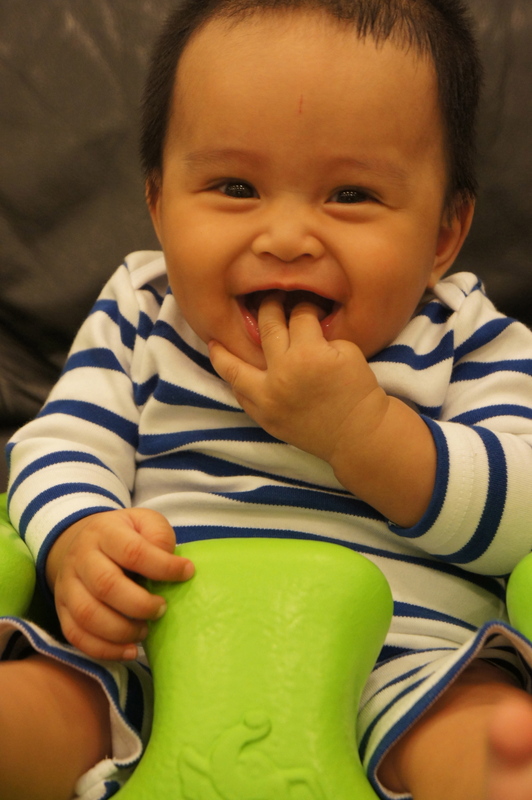 This mommy likes Bumbo too!! mmg dok cari kerusi ni after reading an article ’bout Bella last few months, tp xjumpe!!.. Anyway, thanx Dr Halina! tapi banyak tempat dah habis stock. Try gi Mom’s Care kat Ampang Point (that’s where I bought mine). u seems to read my though dr..i was juz wondering is it safe becoz i’m planning to buy it for my 5 months old daughter..tq for sharing..even if u don’t have any shares in the company..
Hi dr. Love to read ur blog. My daughter also had the same bumbo seat but aqua in color. And i carry it along wherever i go! So easy kann. And oh, got the same recipe book too! Feel free to browse my blog ok? Hugs to bella! Kenapa kat dahi Bella ada tanda ultraman?? I have one too, same color with Bella’s. haah la..dahi bella mcm tercalar sikit..huhu..
salam doc, little bella looks really happy in d seat..n may i ask ur opinion about baby walker,is it recommended n doesnt effect d baby growth development?as i have 9 months baby boy who loves to pick things up n ‘eat’ as in put in his mouth..n i’m thinking of getting a walker for him as i can use it while i’m getting ready to work..
As far as I know, baby walker doesnt fasten the walking milestone is babies. Tp saya tak sure dia buleh lmbtkan baby erjln atau tidak.. It is banned in USA because it has caused many domestic injuries there..
Dia masa dmm pun happy jer.. Sehari jer demam ari tuh.. Alhamdullillah..
Teether yg bella tbgh gigit tu nnti bocor bile die ade gigi..hihi..same goes to my daughter..
aiyo dr, nape dahi bella tu..first pics.calar da. as-salam dr. boleh pakai sampai berapa bulan ye bumbo seat tu ye? Bella… Bella…. Bella…. u make me wanna bite that chubby fingers as u make it so delicious to chew onn….. gerammmm!!!….. luv u bella…. auntie doakan u be a very gud girl and anak solehah ya??…. wish that u can meet my fareeq, coz im sure he will definitely loves u……. hihihihi…. its fun reading ur entry Dr….. keep up the gud work…. Salam DR,nice one for ur cute dotter bb Bella…. i ada tnye DR sal nursery bb on ur past entry but still doesnt have the answer,can u give me any suggestion for 5 months bb?? just back from MCH appt..and abt walker and the Dr said buleh lambatkan anak jln..betul ke?lupa pula tanya abt bumbo seat.. anyway, i bought bumbo seat for my daughter..she will b 3mths this 30th..dah boleh pakai ke the bumbo seat Dr? or should i wait lagi? head control so far ok dah kata her dr tdi..but she is born preterm..Hana lahir 35wks of my pregnancy.. 5days kat scbu due to grunting..
bought mine at babyland ss2, for rm130. extra 50 with the tray(kejap je guna, so i would advice tak payah beli). a worth buy! baby used it until she’s 1 year old. at this point of time, she can crawl away while sitting. Merah2 tu biaser nyer sbb terlampau sejuk..
kak lina, tanye.. i’m a superworried mom.. klu baby 3m n above tu, kite mmg kene jaga sgt2 ke badan die mase kite carry die? kdg2 sy risau tul cara sy pgg bby.. takut die tseliuh ke ape.. lagi, blh x kite tinggalkan bby kejap cth nak gi masak ke sidai kain ke.. ade ape2 kesan x utk psychology die? I read the article. Its a bit fishy, keeps beating around the push. It doesnt mention why it is not safe and it also argue about the colour scheme.. My point is this article doesnt have a strong point. If u leave ur baby unattended.. Memang lar dangerous..
salam Dr. sy ade beli bumbo ni..nk tanye la..bumbo ni xde effect ke utk DDH.. developmental dislocation of hip..? risau plk..huhu..